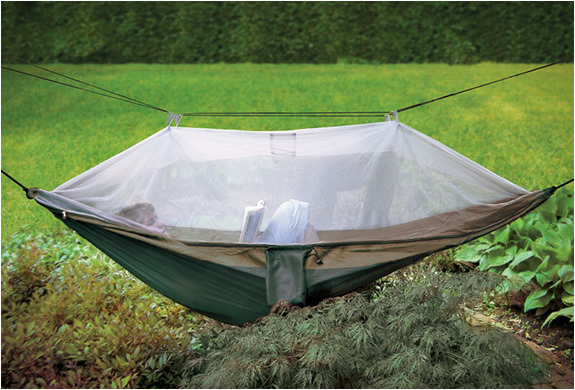 If you have ever camped close to a lake during summer, mosquitos are abundant, the importance of a netted cocoon hammock will be immediately clear. 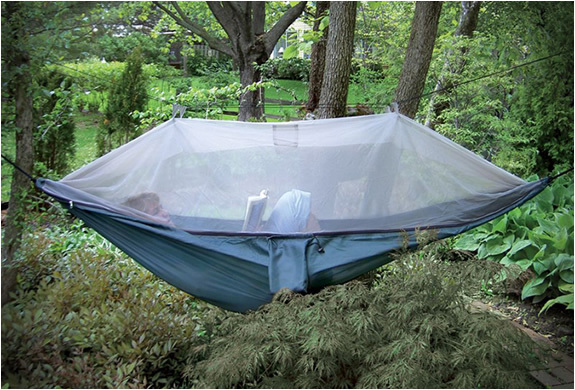 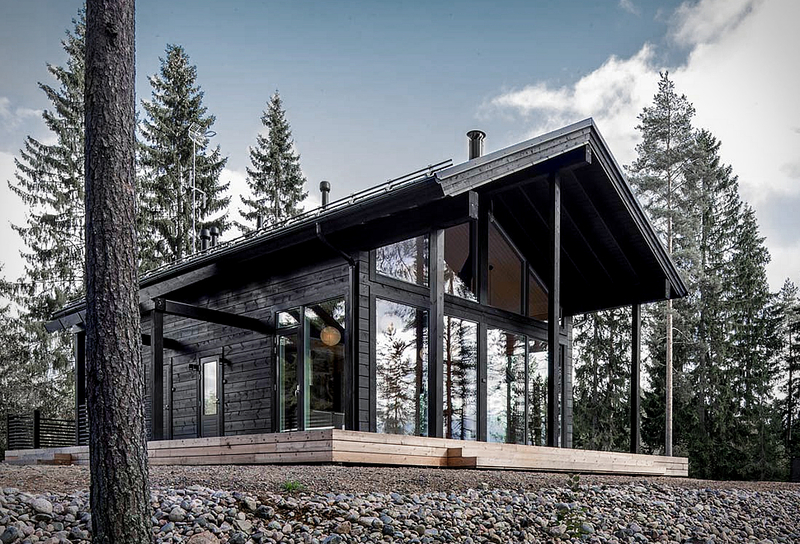 The hammock has a fine mesh canopy that provides complete coverage not only from mosquitos, but bugs and other outdoor pests. 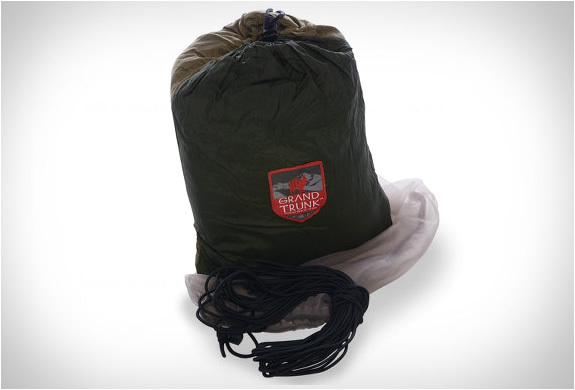 The net features dual-sided zipper for easy entry and exit, and has two pockets inside for conveniently storing your mobile phone or a book. The net supports up to 400 lbs and can easily fit 2 people.